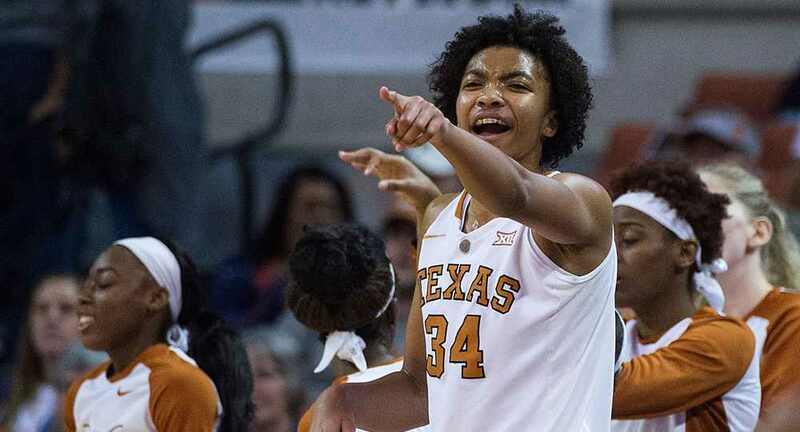 Center Imani Boyette became the fourth player in the history of University of Texas women's basketball history to get chosen in the first round of the WNBA Draft when she was picked by the Chicago Sky (photo courtesy of texassports.com). AUSTIN, Texas — The Chicago Sky made center Imani Boyette the fourth player in Texas women’s basketball history to be chosen in the first round of the WNBA Draft when the team chose her with the 10th overall pick Thursday. Boyette said her excitement over being chosen only fuels her eagerness to join her new team, which includes reigning league Most Valuable Player Elena Delle Donne. Boyette is the first player in program history with 1,000 or more points (she ranks 22nd in school history with 1,361), 1,000 or more rebounds (fifth, with 1,036) and at least 200 blocked shots (second, with 303). Her 104 blocked shots this year were the second-highest single-season total in Texas history. Boyette was named first-team All-Big 12 as a junior and senior and was named to the league’s all-defensive team in each of the last three seasons, sharing Defensive Player of the Year honors as a senior after leading the Big 12 with 3.6 blocked shots per game and finishing second in the conference with 6.8 defensive rebounds per game. Edna Campbell (1999), Edwina Brown (2000) and Tiffany Jackson (2007) also were chosen in the first round of the WNBA Draft. By getting chosen 10th overall, Boyette ties Campbell for the third-highest position in the league’s draft among the nine players who have been drafted.